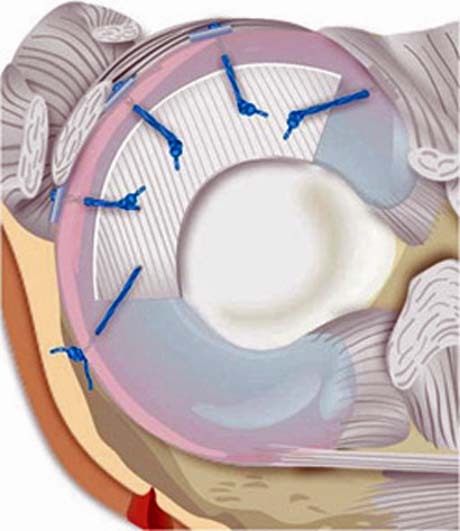 MENISCAL TEAR | GEORGE D. GOUDELIS MD. Ph.D. 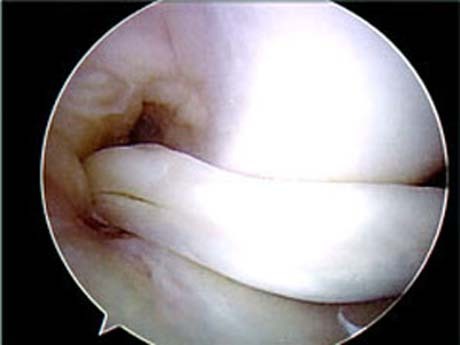 The rupture of the meniscus of the knee is one of the most common injuries among athletes, but not limited to them. 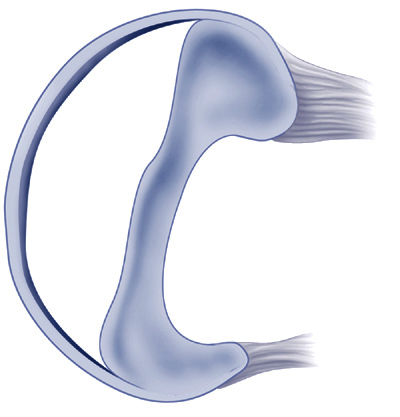 The meniscus is strong, resistant structures that play an important role in the biomechanics of the knee joint. They function as mechanical link allows a better distribution of loads on articular surfaces of the femur and tibia, absorbs vibrations exerted on them, thus contributing to the stability of the knee. 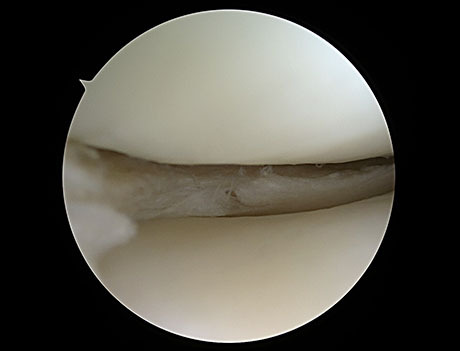 About 60% of the joint loads pass through the meniscus. Knee MRI: The 'bucket handle medial meniscal tear'. 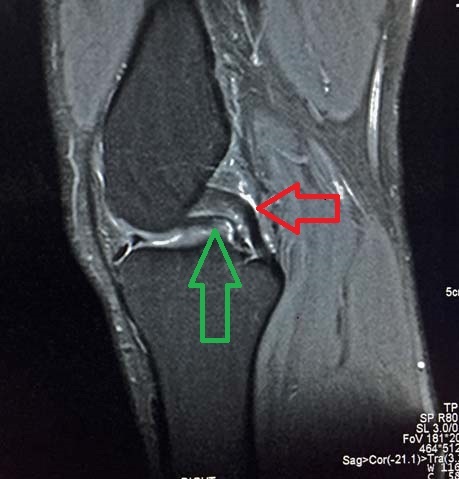 Green arrow shows the rupture of the meniscus. 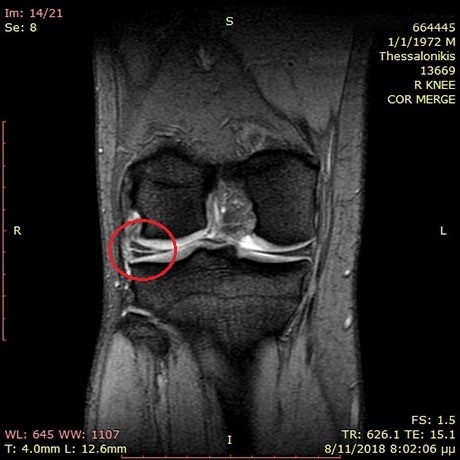 Red arrow shows the intact posterior cruciate ligament. • too much bending of joints can cause harm by creating large or small lacerations. • involvement of joints in flexion for an extended break. The injured meniscus is essentially intrarticular foreign body if not treated will cause damage to articular cartilage that is premature osteoarthritis. After the injury must stop any activity to be placed ice around the affected joint. The visit to the specialist Orthopaedic Surgeon should be done as soon as possible to the clinical examination and the paraclinical testing (radiography, magnetic resonance imaging) to determine the type of injury and design a treatment plan. How the specialist surgeon Orthropaidikos will face the trauma of the meniscus depends on the type of rupture, the size and the region. The outer third of the meniscus has a rich blood supply which means a large potential for healing (arthroscopic suture of the meniscus). The elongated tear exemplifies. Contrary both proximal triarchs the meniscus does not have any blood supply and therefore do not have and healing ability. These sections may not be taped and usually removed. • Physiotherapy, which aims to strengthen muscle groups of the knee and restoring full range of motion. • partial or subtotal meniscectomy ie remove the broken section and normalizing the remaining edges. • synthetic meniscus transplantation. 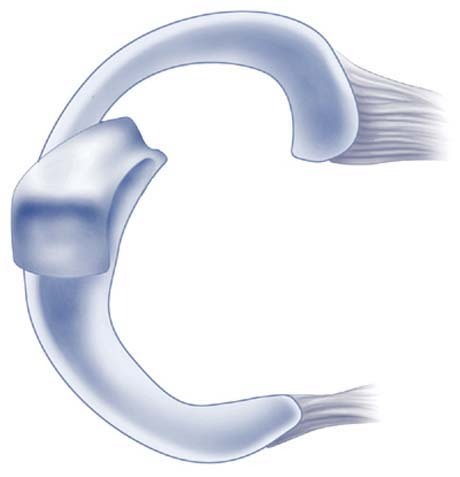 The synthetic meniscus is the latest development of biotechnology and Orthopedic Surgery Sports Injuries of the world and constitutes the scaffold on which to develop the new crescent of the patient. 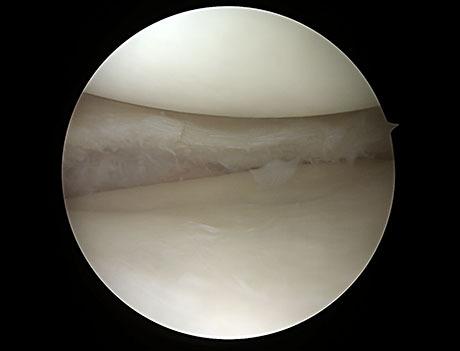 Arthroscopic meniscectomy is an indication in patients with rupture of the meniscus and knee pain and mechanical symptoms such as entanglement and instability of the joint. 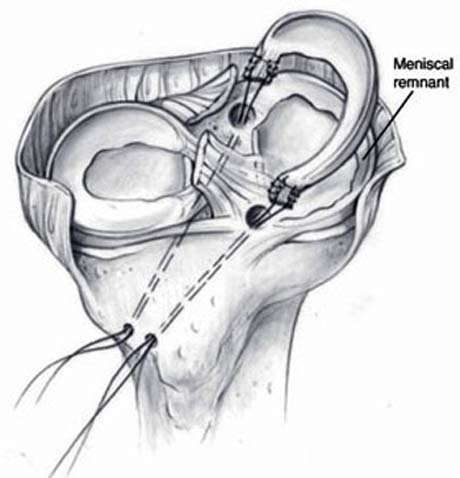 Initially an assessment of whether it is possible to suture the meniscus. Many times because of the nature of the tear stitching can be done. 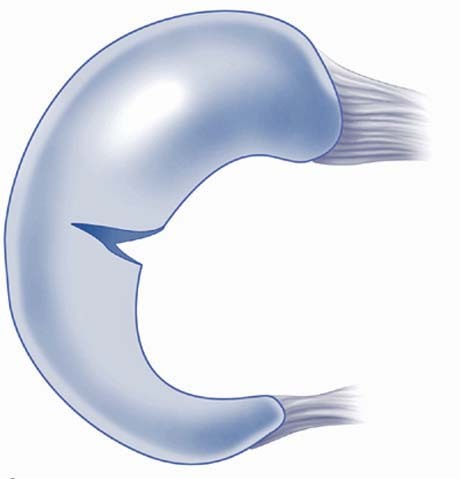 The broken part is removed carefully and the remaining part normalized by creating a physiological substrate motion of the joint. Design of anatomical - drivers points (portals) of arthroscopy of the knee. In many cases the suture of the meniscus is the ideal solution for the patient, allowing healing and virtually definitive treatment. 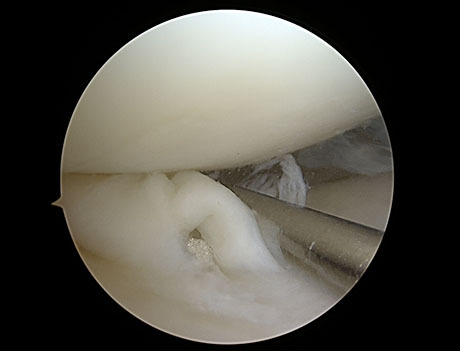 The evolution of arthroscopic techniques and materials now allow the skilled Orthopaedic Surgeon to staple the meniscus in different ways depending on the type of rupture and anatomical region. 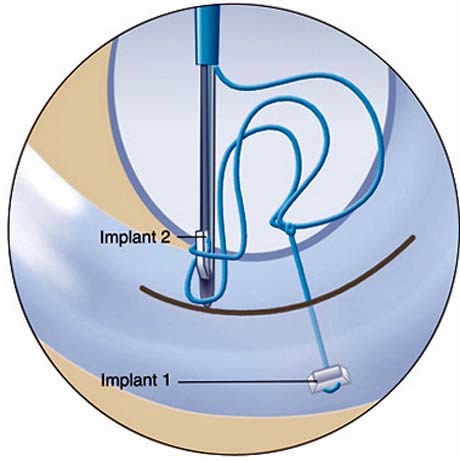 The meniscus transplant is a specialized surgery that is universally applied in special centers. 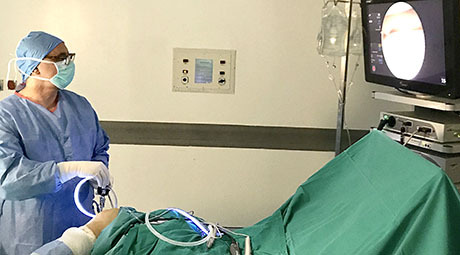 Taking the graft made ​​from cadaver donor and having received the appropriate treatment and special controls can be transplanted to a person with a prior subtotal removal of the meniscus of his own. The existence of proper alignment of the limb and the integrity of the ligaments of the knee joint are prerequisites for successful surgery. If concomitant injuries such as ruptured anterior cruciate it must be reconstructed at the same operative time. The clinical examination of a patient who will conduct the Orthopaedic Surgeon, a radiological monitoring and control joints with magnetic resonance imaging will determine the treatment plan. 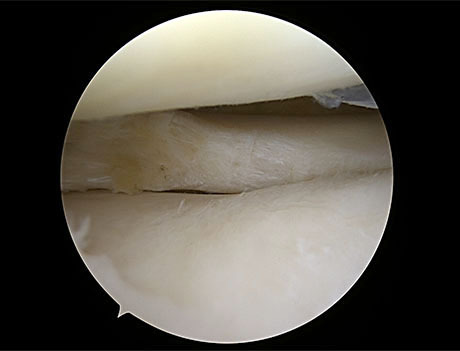 The goal of transplantation of the meniscus is to relieve the patient from pain and protection from the biomechanical consequences of the absence of the meniscus (early osteoarthritis). Implementation of the meniscus in the knee joint and containing at certain points. After a lengthy investigation, in cooperation with leading experts, created a synthetic scaffold of the meniscus, which is the next step in surgery of the knee. 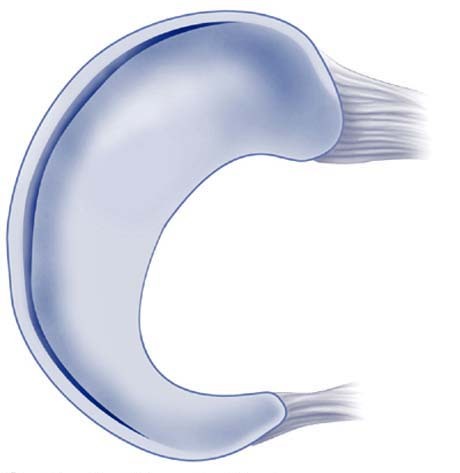 The synthetic meniscus consists of a synthetic biodegradable polymer with specific cellular device, allows the flow of blood inside providing locations for new cell growth by creating conditions healing process and create a new meniscus tissue. 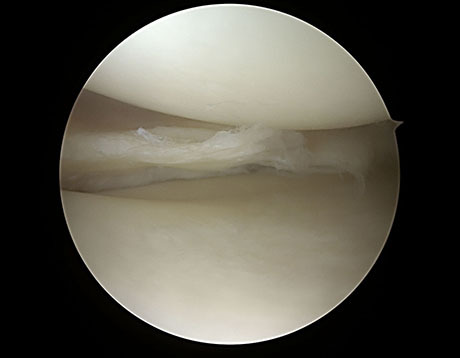 After removing the damaged part of the meniscus is placed with absolute precision the synthetic scaffold and stapled with special techniques. By the end of the year new tissue grows via the scaffolding is gradually replacing. The scaffold is absorbed by the body and in its place now is a new meniscus. Clinical studies in humans have shown improved quality of life and also restore them to pre-injury health status of their knees. After surgery, your doctor may put your knee in a cast or brace to keep it from moving. Return to daily activities. Most patients are not able to return to work for at least 2 weeks. Many patients with active jobs require 2 to 3 months of rehabilitation before they resume their jobs. Your doctor will discuss with you when it is safe to return to work, as well as any sports activity. 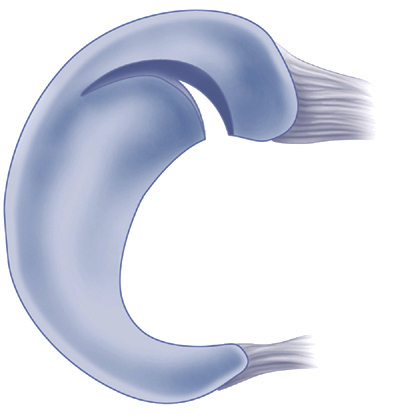 Full release is typically given 6 months after surgery. The initial goal of the postoperative rehabilitation program is to prevent excessive weight-bearing and joint compressive forces that could disrupt the healing meniscus allograft (Table 11-1). Patients are placed in a long-leg postoperative brace immediately after surgery, and the brace is worn for approximately 6 weeks. Knee range-of-motion exercises from 0 to 90 degrees are begun the first day. Knee flexion is increased 10 degrees each week to allow 135 degrees after 4 weeks. Patients are allowed only toe-touch (5 lb) weight bearing during the first 2 weeks, and then are slowly progressed to bear 50% of body weight at 4 weeks and full weight bearing at 6 weeks. Flexibility and quadriceps strengthening exercises are begun immediately postoperatively. Stationary bicycling with low resistance is begun at 8 weeks, and swimming and walking programs are initiated between 9 and 12 weeks. Return to light recreational sports is delayed for at least 12 months. 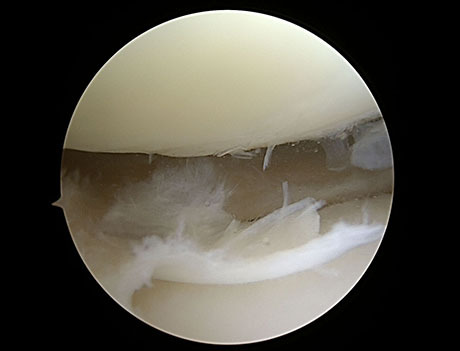 Patients are advised not to return to high-impact, strenuous athletics due to the joint damage present and questionable ability of the meniscus transplant to restore normal load-bearing function.